We at North West Memorials understand that maintaining a loved ones grave can sometimes simply be impossible whether it be because of distance or incapacity. We have new designs as seen here that may alleviate your concerns – a complete memorial (granite or marble) that is a fitting tribute to a loved one while needing no maintenance after installation. Please call us at North West Memorials, Muff 074 9327754 for more details. This entry was posted in Maintenance, Uncategorized. Bookmark the permalink. 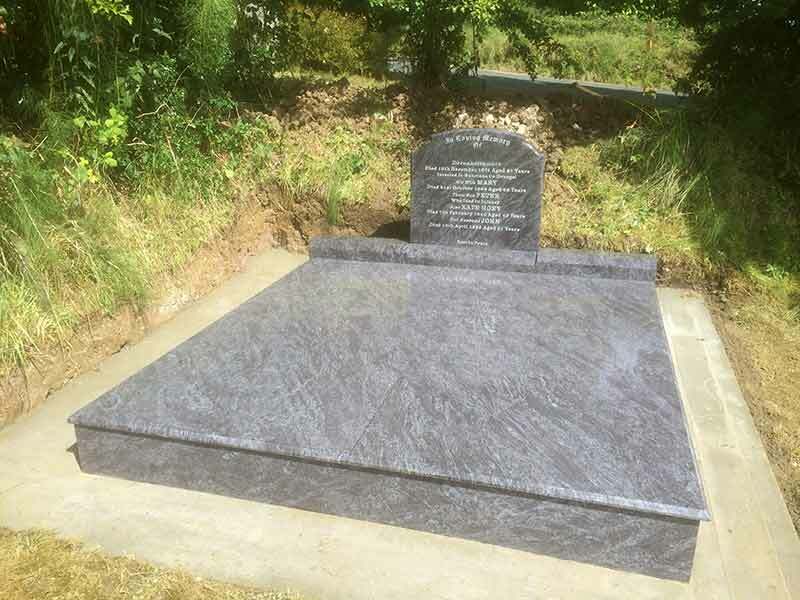 North West Memorials is a county Donegal family run business that have a combined workmanship of almost 50 years, making us experts in the memorial & headstone business.